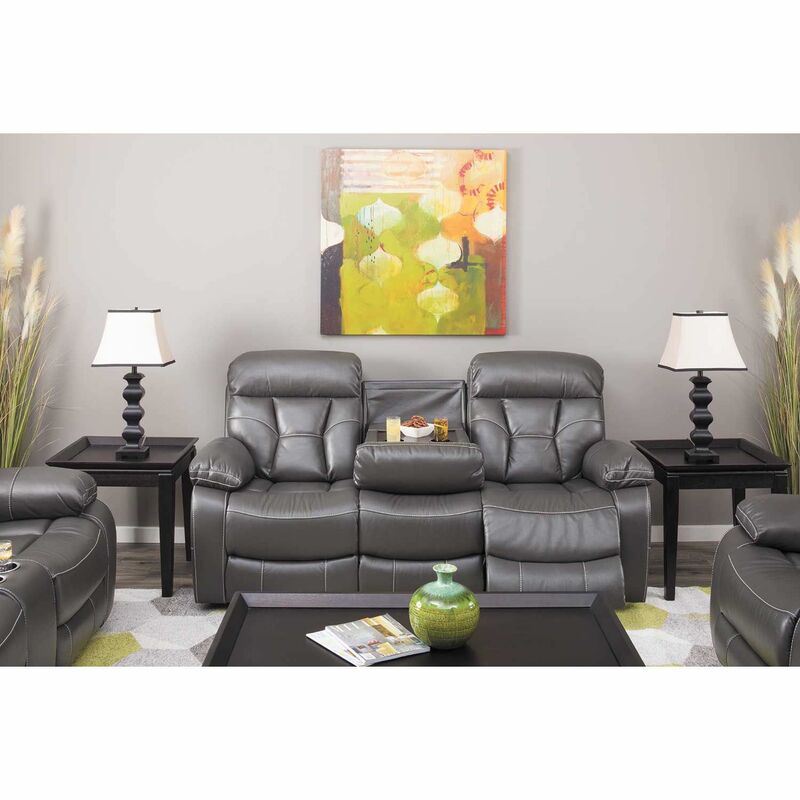 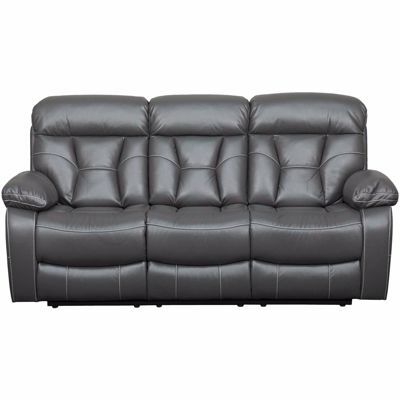 Enjoy deep relaxation with the Peoria Gray Reclining Console Loveseat by Standard Furniture. 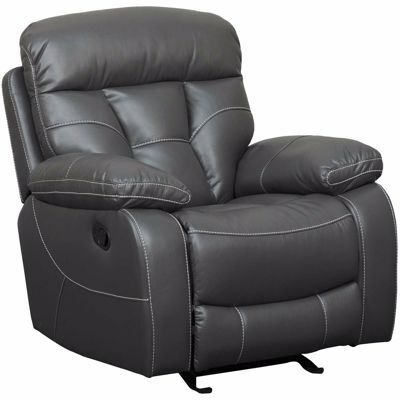 Scoop style seats and a cushioned, deep-channeled back cradle you while you enjoy the infinite comfort possibilities of the reclining mechanism. 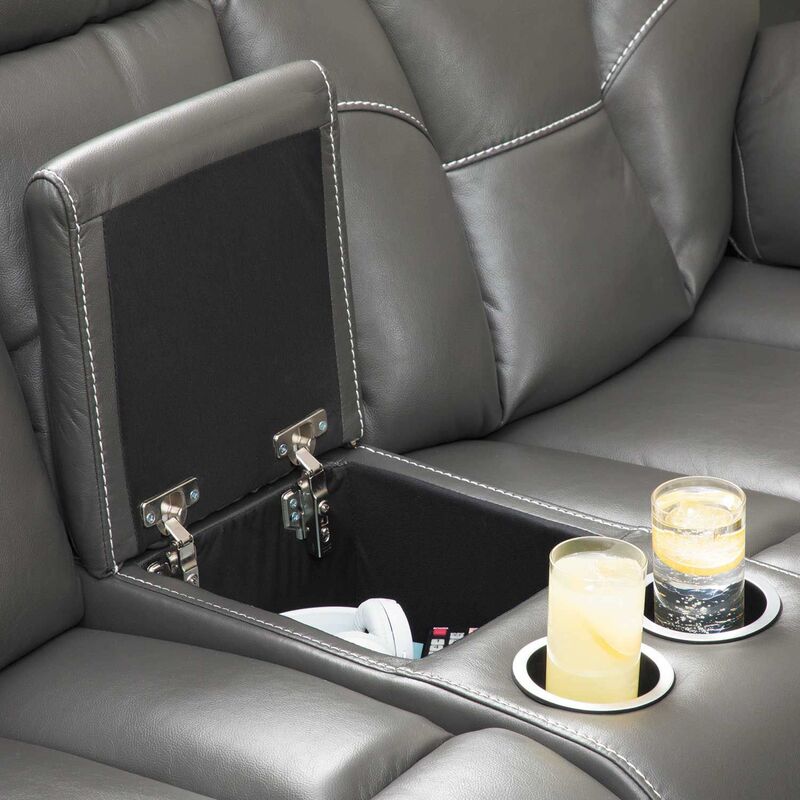 Gray polyester upholstery with white contrast stitching adds style, while the middle console features handy cup holders as well as convenient hidden storage. 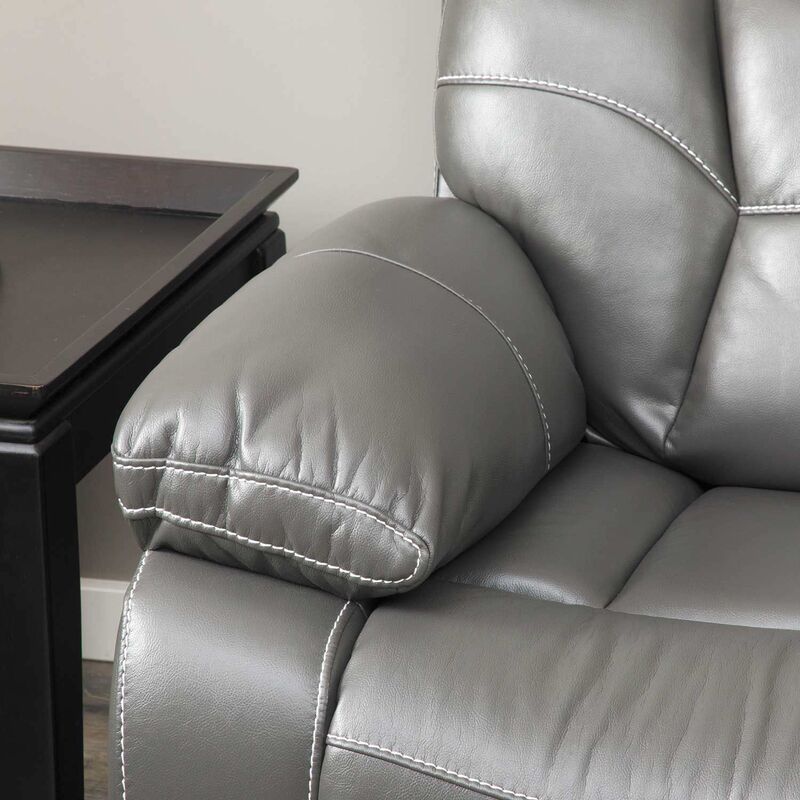 Enjoy deep relaxation with the Peoria Gray Reclining Console Loveseat by Standard Furniture. 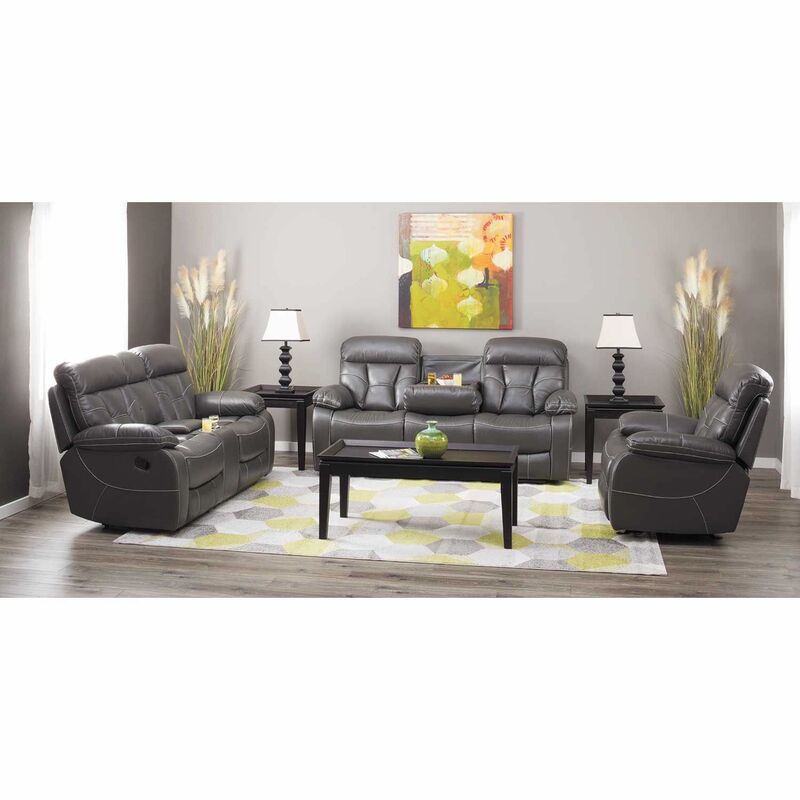 Peoria Gray Reclining Console Loveseat from Standard Furniture. 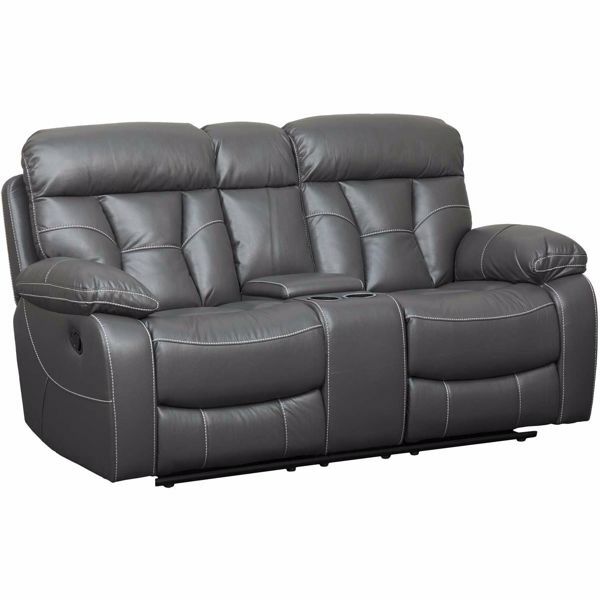 Loveseat is covered in a grey polyester cover.